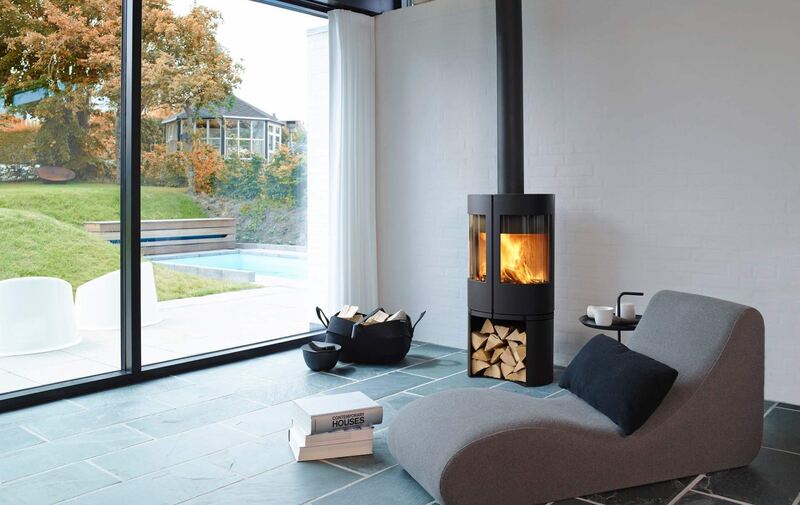 This most modern looking stove designed with the help of Klaus Rath creates a new and more artistic expression of design style to the stoves. 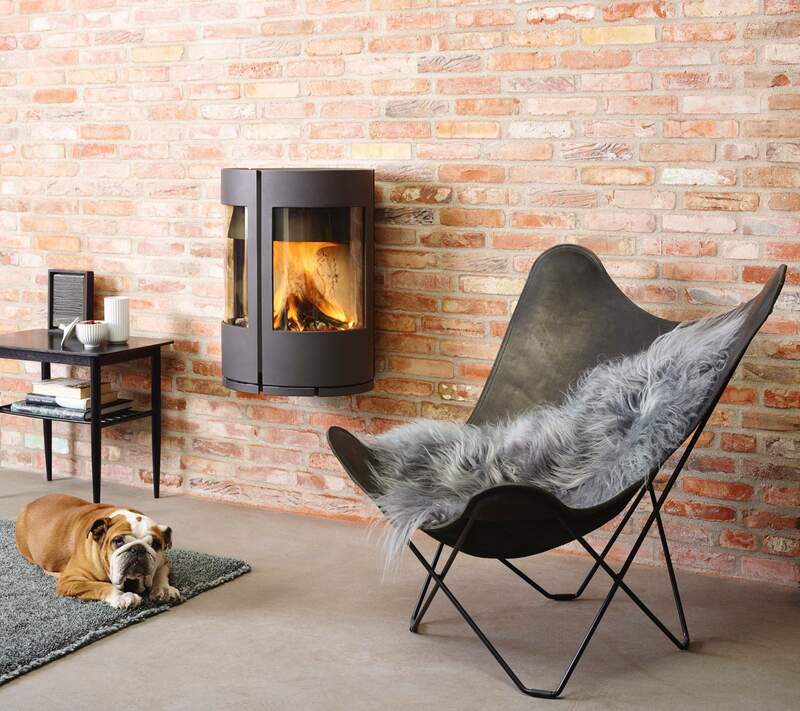 Boasting 180 degree flame picture and double doors with hidden handles this elliptical shape stands out in a crowd. 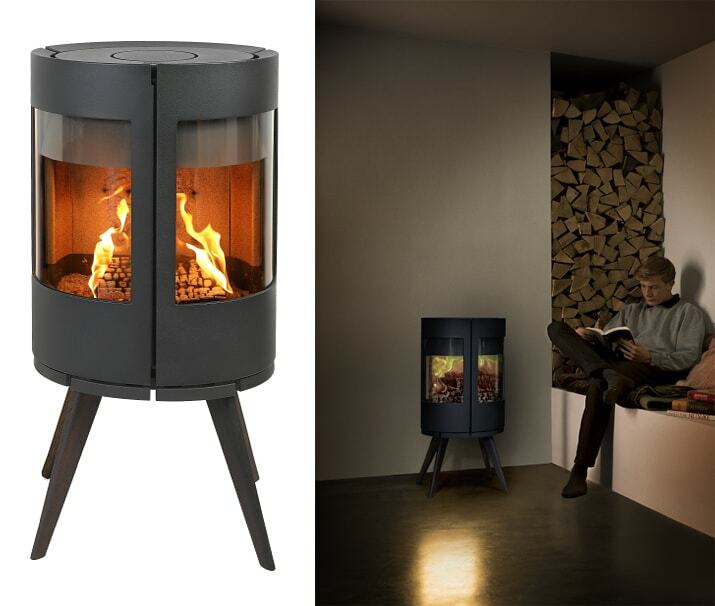 The 6600 is available as seen in top image with log storage as 6643 and below image shows the ultra modern wall hung 6670 version. The latest model the 6612 as seen in the images at the bottom comes uniquely on four legs.